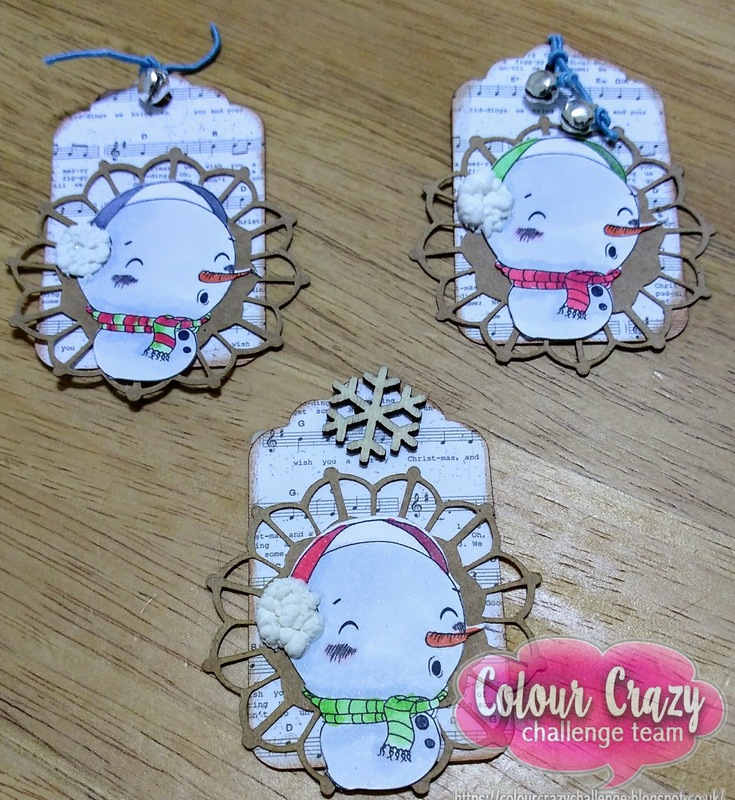 Today I am appearing as an Guest Designer at THE COLOUR CRAZY CHALLENGE BLOG. 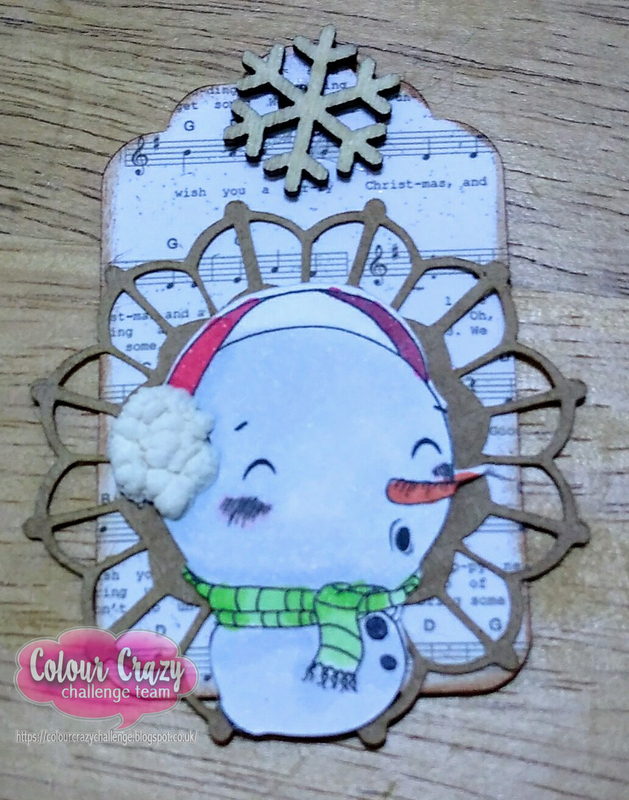 The new challenge over on THE COLOUR CRAZY CHALLENGE BLOG is ‘Anything Goes’! 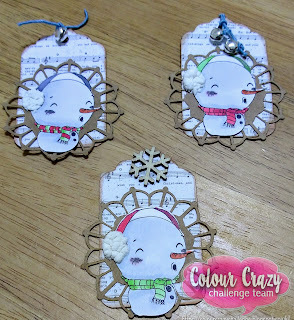 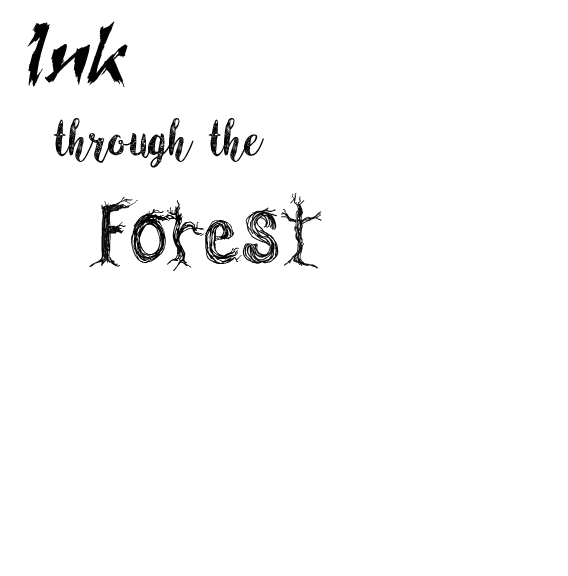 There is a wonderful prize on offer, from our sponsor - Oddball Art Co for our lucky winner so check out THE BLOG for details. 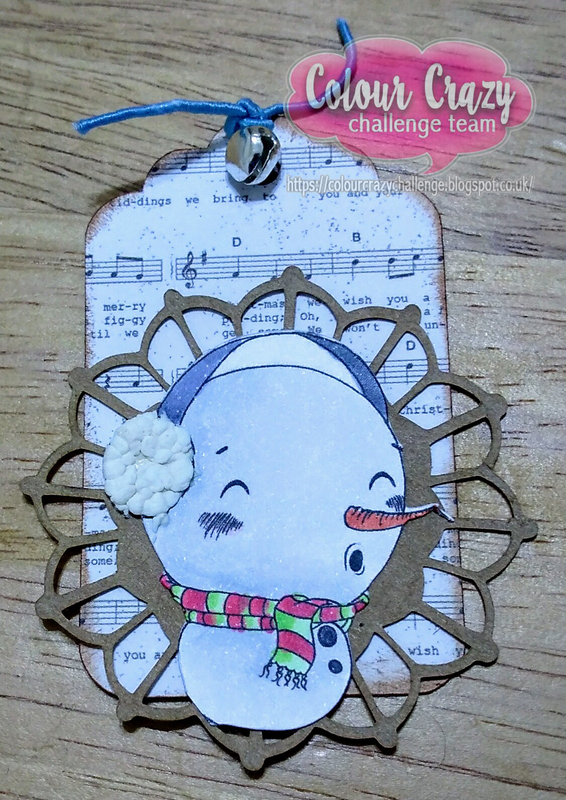 I have used this gorgeous image from Oddball Art Co called Kawaii Snowman. 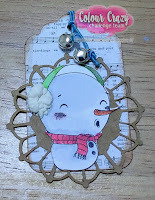 However instead of a card this week, I have created an Christmas Tag! 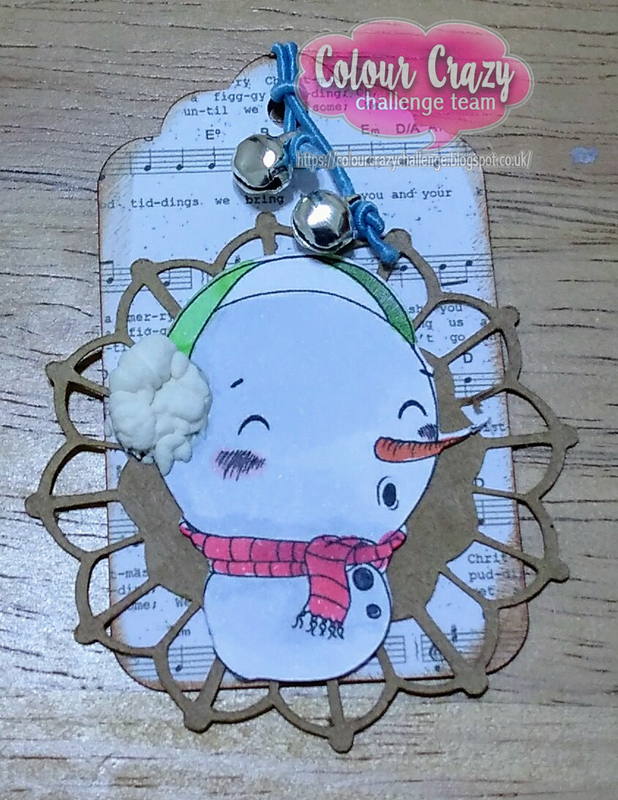 It is going to look perfect on handmade gift this Christmas.